The 4th Annual ACCORD Freedom Trail Luncheon can be referred to as a mini-reunion of sorts. Comrades of the Civil Rights Movement were reunited in the Nation’s Oldest City. “It was Divine Intervention that brought forth this event, at this time in history”, says Gwendolyn Duncan, President of ACCORD, a non-profit civil rights commemorative group. Over 170 persons gathered to hear United States Representative Congressman John Lewis and Dr. Kathryn Fentress, at the Casa Monica Hotel to commemorate the 46th Anniversary of the Signing of the Landmark Civil Rights Act of 1964 as well as to honor the heroes of the St. Augustine Movement. Dr. Kathryn Fentress told of a time when she first heard John Lewis speak. This was many years ago to a group of Christian volunteers. It was that speech over 50 years ago that inspired her activism. David Nolan, local historian also told of a time when he saw the Congressman with a bandaged head, shortly after he was beaten by segregationists in the march across the Edmund Pettus Bridge (Selma, AL). Lewis was speaking to him and other college students in Virginia. The words spoken by John Lewis sparked his activism so much so that he left college to help with voter registration drives. Dr. Robert B. Hayling’s first encounter with Lewis was in Nashville, Tennessee in the early 1960’s. Hayling, who completed his tour of duty in the Air Force as a First Lieutenant, was a student at Meharry Dental College. Segregationist bombed the home of his professor, Dr. Luby. Hayling said the blast was so powerful that it blew out the windows in his dormitory. During the same time, John Lewis, a student at Fisk University, organized sit-in demonstrations at segregated lunch counters in Nashville, Tennessee. In 1961, Lewis volunteered to participate in the Freedom Rides, which challenged segregation at interstate bus terminals across the South. Lewis risked his life on those Rides many times by simply sitting in seats reserved for white patrons. He was also beaten severely by angry mobs and arrested by police for challenging the injustice of Jim Crow segregation in the South. The sold-out crowd witnessed one of the most moving luncheons ever as Dr. Fentress told of her experiences in St. Augustine, FL. She not only came in 1964 when she was arrested with Dr. Martin Luther King, Jr., on the steps of the Monson Motor Lodge as he led his non-violent campaign against segregation, but was also in the Nation's Oldest City in 1963 picketing outside of the Woolworth's store. Blacks were allowed to spend their money to buy goods, but as she says, “…were served insults…at the local lunch counter. 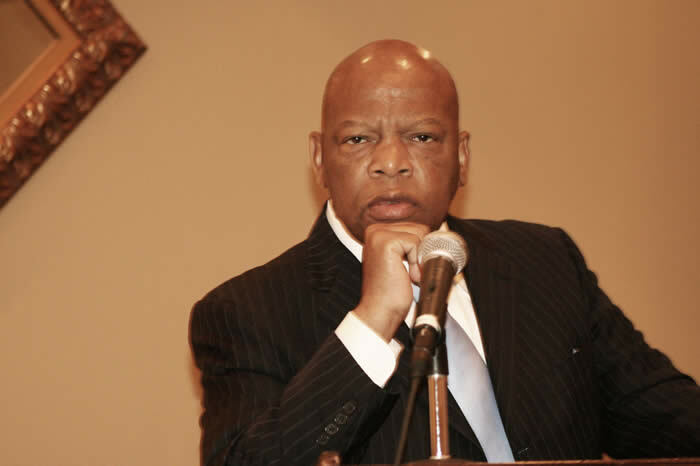 Equally moving was Congressman Lewis as he told of being beaten and jailed in his fight for justice and equality. After all that happened to him, he still believes that non-violence is right. He said if one thinks that things have not changed, “…just walk in my shoes”. He said we all came over on different ships, but we are all in the same boat now. He encouraged all to strive to together to bring about Dr. Martin Luther King, Jr.’s dream of the “Beloved Community”. Mr. Clyde Jenkins is the 2010 Recipient of the Second Annual Dr. Robert B. Hayling Award of Valor sponsored by Florida State Senator Tony Hill. 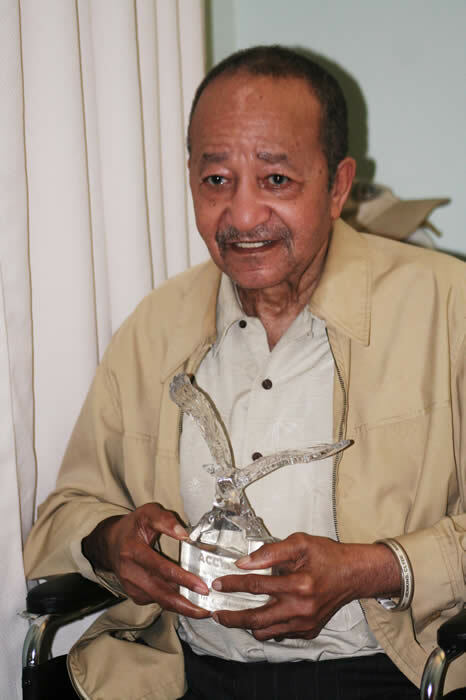 His wife, of 60 years, Mrs. Hattie Hickson-Jenkins accepted the Award on behalf of her husband who is in the Samantha Wilson/Buckingham Smith living facility. Jenkins, a local barber was kidnapped by the Ku Klux Klan along with Dr. Hayling at a Klavern meeting where the Big Lots now stands on US 1 South. He and three others were stacked like cord wood, narrowly escaping certain death by fire. Undeterred, he continued his activism and was arrested on the steps of the Monson Motor Lodge in 1964 with Dr. Martin Luther King, Jr. and others. Dr. Dee Israel, in an email to the ACCORD President said, "...wanted you to know that you...and the committee had the most fabulous event ever in St. Augustine...organized perfectly...food was great...camaraderie was terrific...Kathryn...awesome...few dry eyes in the audience...covered the past, present and future brilliantly and creatively...John was superb...Job More than well done…don't know how you can top this event next year." We will start preparing now for next year’s event. If one feels so moved, please make your tax deductible donations payable to the 40th ACCORD, Inc. and mail to P.O. Box 697, St. Augustine, FL 32085. 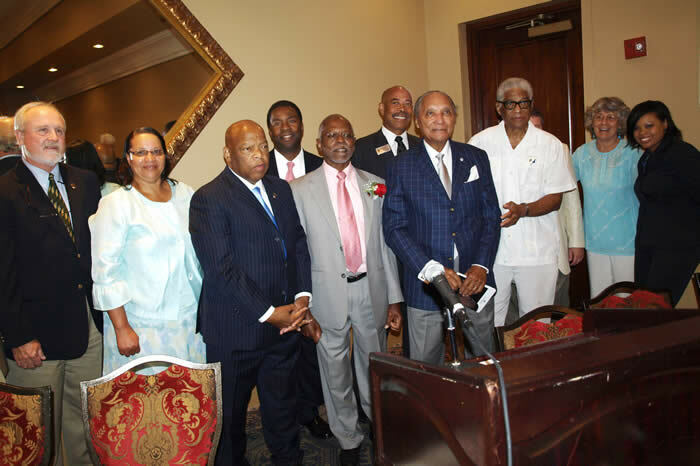 We extend our appreciation to all for helping to make the 4th Annual ACCORD Freedom Trail Luncheon a huge success. © 2010 ACCORD, Inc. All Rights Reserved.